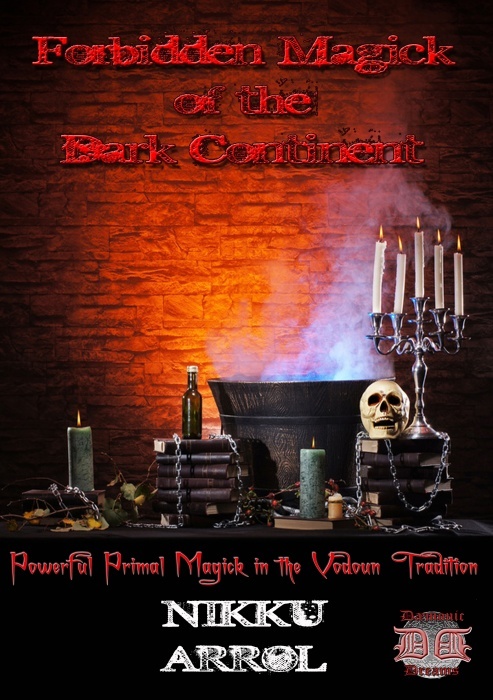 Here, for the first time, we are breaking the silence of the TRUE Voudoun practitioners, so that the awesome, primal powers of their spells and rites can be used to benefit YOU, in your everyday life. This is Magick like you have never seen before - Magick that you can put to work, simply and very, VERY effectively. Everything is laid out in plain English (though you will also find some hugely powerful Aramaic Spells here, too! ), to enable to you effectively control many of the most important areas of your life. * Bewitching Women...or ensnaring men. * Securing loyalty from your lover. * Stopping a Childs night Terrors. * Relief from Persistent Pain (should be used only in conjunction with medical advice). * Preservation of good health. For the first time, we present the fabled Sand and Silver Coin Love Ritual, and the Darkly-compelling Hair/Needle/Name control Rite. Just these two, MASSIVELY powerful Voudoun Rituals are worth the cost of a hundred such spellbooks, and can be found NOWHERE ELSE! Also included is a detailed spell to rid yourself of an unwanted lover, plus an extensive section on candle magick, which includes both a number of rites AND full instructions which teach you how to CREATE YOUR OWN CANDLE MAGICK RITUALS, which will be far more powerful than ANYTHING you will find anywhere else - ever! !